Canary Islands is an overseas territory of Spain, which is still part of EU despite its special economic status. The Canary Islands is a group of seven islands: Gran Canaria, Tenerife, La Palma, La Gomera, Lanzarote, El Hierro and Fuerteventura. This volcanic archipelago is located 100 km northwest of Africa; in fact, it is geographically closer to Africa than it is to Europe or mainland Spain. Due to its volcanic origin, the island experiences a subtropical climate. 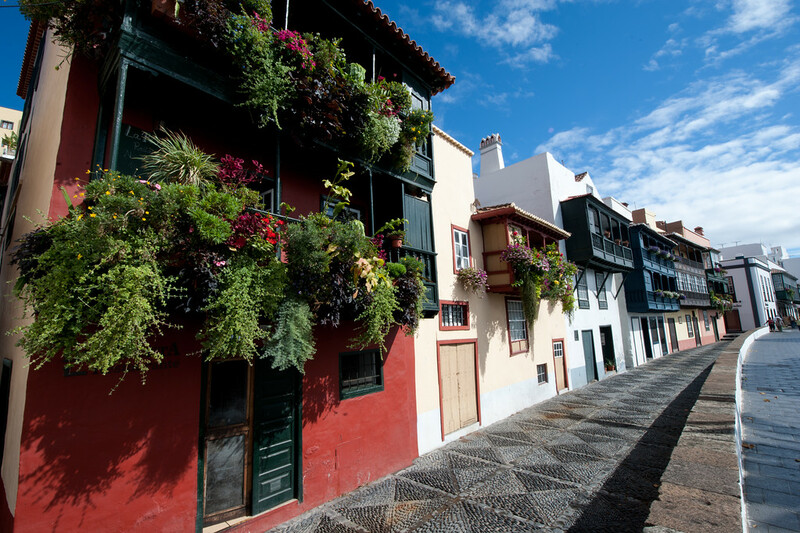 The climate and the fact that it is mostly warm throughout the year draw tourists to travel to Canary Islands. There is a varied landscape feature in the Canary Islands, however. There are certain parts of the island that is dominated by mountain ranges and forests, and then there are parts valleys and deserts. 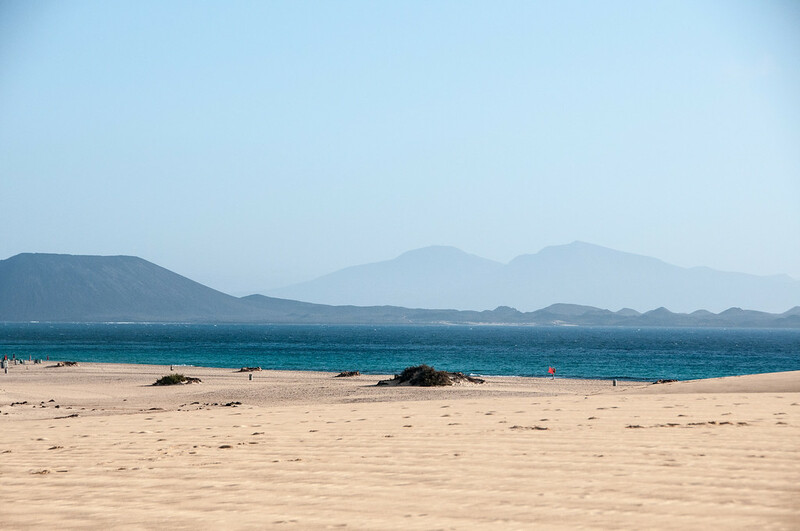 There are also beautiful coasts and beaches in various parts of the Canary Islands. It is also recognized as an important biosphere reserve by UNESCO. Official Language: Spanish is the official language in Canary Islands. Wi-Fi Availability: Most hotels, restaurants and commercial establishments offer free Wi-Fi in Canary Islands. Airport/s: The Gran Canaria Airport in Las Palmas is the main international airport for tourists that travel to Canary Islands. Visa Required: Tourists from EU countries can travel to Canary Islands without a visa. But for non-EU tourists you must obtain a short stay visa and can only travel to Canary Islands and stay for no more than 90 days. Driving: In Canary Islands, you must driver on the right side of the road. International Driver’s License Accepted? You need an international driver’s license to drive in the Canary Islands. Crime: Canary Islands is generally a safe place for tourists with a very low crime rate. Electrical Adapters: In Canary Islands, electrical voltage is set at 220 volts at 50 Hertz. Trivia: DID YOU KNOW that the Canary Islands is more geographically close to the African continent than Europe or mainland Spain? The cuisine of Canary Islands reflects the different elements of its culture. Hence, you can expect a lot of variety, freshness and simplicity in its use of ingredients. They use a lot of meat and seafood in their dishes on the island. Due to its Spanish link, you will also see a hint of Spanish cuisine elements in the island’s cuisine. Appetizers and snacks (also known as tapas) are an integral part of Canarian cuisine. These are locally referred to as enyesques. They also use a lot of mojo in their dishes, which is a type of sauce made with oil, garlic, pepper, thyme, salt, and various other spices. Mojos can be red or green, depending on the spices used in them. Due to its close proximity to the ocean, fish is served a lot in Canary Islands. There are two popular types of preparation for fish in the island: sancocho canario or pescado seco. The first one involves boiling a fish and then serving it with potatoes and mojo. The second type of preparation involves drying the fish and then serving it with a sauce or roasting them. 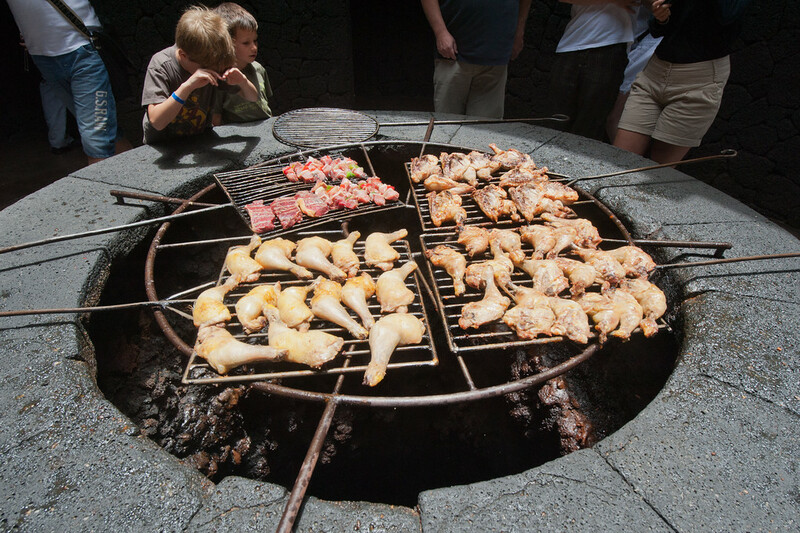 In terms of meat consumed, among the most popular types of meat in Canary Islands are chicken, pork, goat and rabbit. Gran Canaria: It is one of the main islands in Canary Islands, which is a territory of Spain. It is famous for its white sand beaches and a beautiful coastline. Its capital, Las Palmas, is also a notable stop for cruises and is therefore a coveted spot for tourists. Timanfaya National Park: This national park is located on the Southwestern part of the Canary Islands. The park is entirely made from volcanic soil. 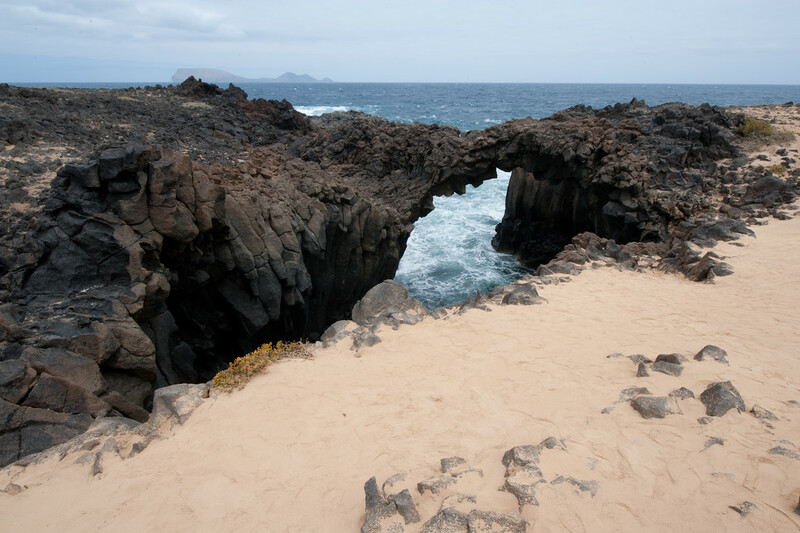 The park is also part of the Biosphere reserve in the island of Lanzarote that UNESCO enacted. In fact, the park constitutes majority of this biosphere reserve. 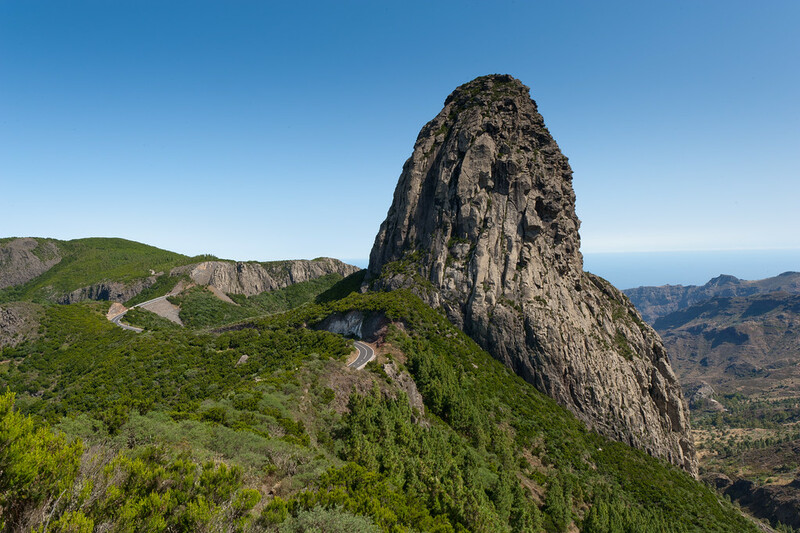 Caldera de Taburiente National Park: This park is located within the island of La Palma. It was declared as a national park in 1954, both for its symbolic and geographical importance to the island. The park is filled with thick Canary pines, freshwater springs and waterfalls, and rock formations sprawling through hiking trails. Cueva de los Verdes: This tourist attraction is located at Haria municipality in Lanzarote Island. It is a lava tube and the cave lies beneath Monumento Natural del Malpais de La Corona. The cave was formed 3,000 years ago from lava flows coming from Monte Corona, which is a nearby volcano. Auditorio de Tenerife: This multi-purpose arts complex and function hall is located in Santa Cruz de Tenerife. It was constructed on 1997 and was completed in 2003. This auditorium serves as the architectural symbol of Tenerife. The design was created for by architect Santiago Calatrava Valls. Teide Observatory: This is an astronomical observatory located in the island of Tenerife. The observatory is operated by Instituto de Astrofisica de Canarias. It was opened in 1964 and is among the first international observatories established in the world.